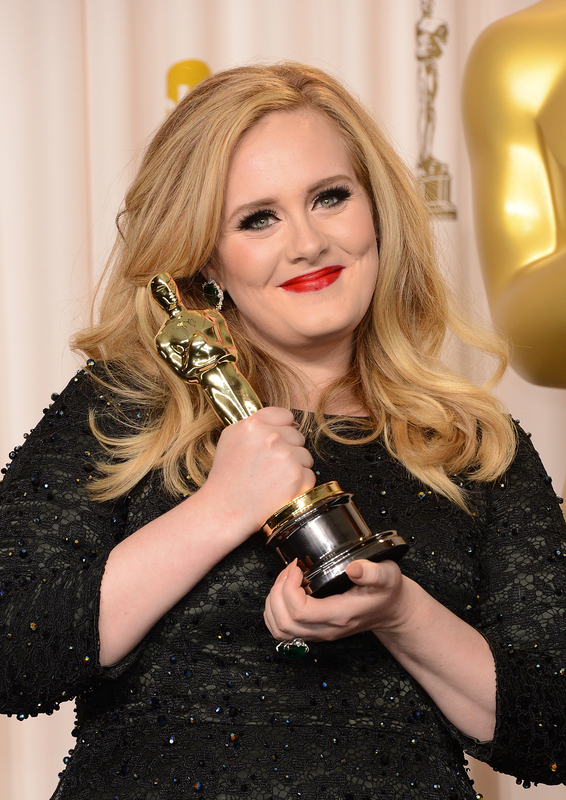 This probably isn't even the first time today I'll say this, but god bless Adele. Even though it's been four years since her last album 21,came out in 2011, and basically the entire music industry has changed since then, Adele's new album has a release date of Nov. 20, 2015 — allegedly, anyway. And you realize why this is amazing, right? For one thing, it's less than two months away, so you can commence passing out, but for another, there's actually a release date out there for once. It hasn't been confirmed yet, because, while Bustle reached out to Sony for comment on this news, we have yet to receive a response. But the implication here is that we can rule out a surprise midnight release of the album, reportedly called 25, on some random Wednesday when none of us are ready. Update: Adele confirmed on Instagram that her album is indeed coming out on Nov. 20. I'm looking at you Beyoncé. And Drake. And basically anyone else who has wreaked havoc on my nerves by employing this tactic. It feels like every time I close my eyes, a new artist has dropped a surprise album, and I'm already 12 hours behind on listening to it by the time I wake up in the morning. But I should've known that my dear sweet Adele would never do me like that, that she'd have respect for that time-honored tradition of giving me a set time and place where her album will become available. How else am I expected to be in the ready position — in my apartment with my plans canceled and my smelling salts near — at the appointed moment? According to rumors, the leadoff single will be dropping sometime in the first two weeks of November, with the full album following on Nov. 20. Mmmmmm. Aaahhhhhhh. Sorry, just reveling in the wealth of months and numbers that I've just been inundated with here. It's a real embarrassment of riches after going so long without any set dates. Soak it all in, my friends. Mama's hopefully coming home.